Ricoh is pleased to introduce the new Aficio SP C242SF Desktop color MFP. The Aficio SP C242SF replaces the Aficio SP C231SF and the Aficio SP C232SF offering your customers a better value with additional features and a lower CPP. The small footprint, standard copy/print/scan/fax functionality, high toner yields and ease of use make this model a solution for virtually any office environment. 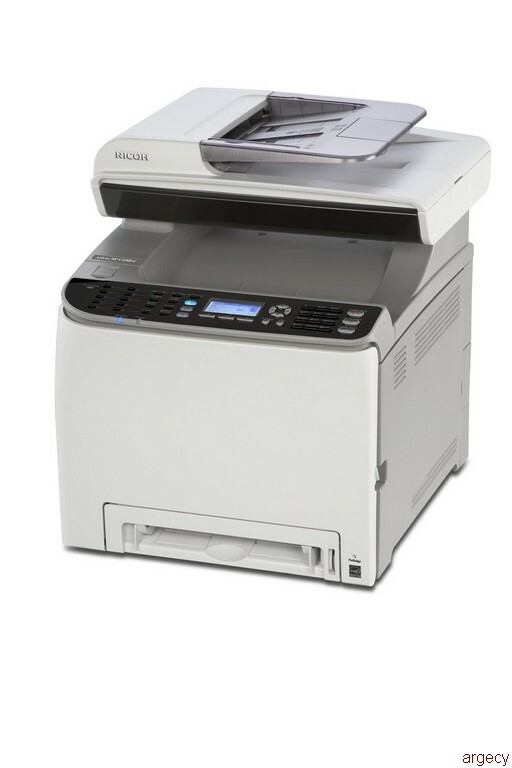 The new Aficio SP C242SF Desktop color MFP provides complete copy, print, fax and scan capability (both color and monochrome scanning) with 21-ppm copy and print output speeds. Scanning features such as Scan-to-Email, Scan-to-Folder (SMB/FTP/NCP) and TWAIN Scanning are standard. The standard USB port on the operation panel provides easy access for scan to USB and PictBridge connectivity. It also offers robust paper handling (up to 42lb. Bond) as well as an optional 500 sheet paper tray for additional flexibility. The strategic goal for the Aficio SP C242SF is to enhance Ricoh's competitiveness and increase TDV (Total Document Volume) by offering a wide range of solutions with robust features. The Aficio SP C242SF is intended for small / Corporate Home Offices and small workgroups.